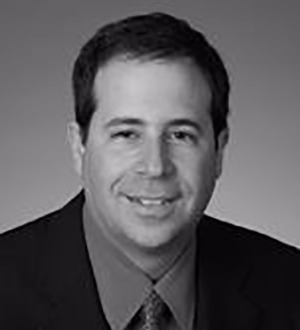 David Papier has a broad background of more than 25 years in corporate and securities law. He counsels public and private companies, venture capital funds and investment banking firms in a broad array of transactions, including public and private debt and equity offerings, tender offers and going private transactions. David has extensive experience in structuring and documenting financing transactions for both borrowers and lenders. David has worked with some of the most influential and important venture capital funds and investment bankers, including Goldman Sachs, JPMorgan Chase, Credit Suisse, Morgan Stanley and Bear Stearns. David counsels emerging growth and high-tech businesses in all aspects of operations, from startup through public offerings and/or acquisitions. His practice includes structuring and negotiating venture capital financings, mergers and acquisitions, strategic alliances, corporate spinouts, bank financings and commercial licensing transactions. He advises management in the areas of finance, executive compensation, board governance and other corporate matters. He also represents Israeli and Israeli-related technology companies and venture capital funds in connection with their financing activities and operations in the United States. Representation of Amber Road, Inc., a leading provider of global trade management solutions, in its initial public offering and in all its day-to-day legal matters including its Series E preferred stock financing with Goldman Sachs. Representation of Battery Ventures and Blumberg Capital, investors in Tel Aviv-based Cyvera Ltd., in connection with the sale of Cyvera to Palo Alto Networks for approximately US$200 million. Representation of MDY Group International, Inc., a portfolio company of Edison Partners and a provider of records management software and services, in connection with its sale to Computer Associates. Representation of Blumberg Capital on its 52x return on its seed investment in Hootsuite, the Vancouver-based social media management platform. The US$165 million Series B financing was led by Insight Venture Partners, with participation from Accel Partners and OMERS Ventures. Representation of Celiant, Inc., a leading supplier of wireless power amplifiers, in connection with its sale to Andrew Corporation for US$470 million in cash and stock. Representation of DoubleVerify, a worldwide leader in online advertising verification, in a US$33 million Series C financing with JMI Equity, Institutional Venture Partners, Blumberg Capital and First Round Capital. Representation of SAP AG in connection with numerous acquisitions.Representation of Battelle Ventures, Blackberry Partners Fund, Blumberg Capital, Draper Fisher Jurvetson Gotham, Edison Partners, New Venture Partners, NewSpring Ventures, NJTC Venture Fund, Pequot Ventures, Rho Ventures and Updata Partners in connection with numerous venture capital financings. Representation of Game Trust Inc., a casual game infrastructure company and portfolio company of Intel, Draper Associates, Topspin and TWJ Capital, in connection with its sale to RealNetworks, Inc. Representation of Habit Opco, Inc., a leading provider of opiate addiction treatment clinics and portfolio company of Newspring Capital, Three Arch Partners and Salix Ventures, in connection with its sale to CRC Health Group. Representation of Blumberg Capital with respect to its follow on investment as part of a CA$15 million Series B financing round of Trulioo Information Services Inc., a Vancouver based fintech online identity verification company, along with existing investors BDC and Tenfore Holdings and new investor American Express Ventures. Representation of lead investor Edison Partners on a US$7 million growth equity US financing in Tel Aviv-based RealMatch, a leading provider of online recruitment advertising. Existing investor Carmel Ventures also participated. Representation of Nistica, Inc., a provider of solutions that enable delivery of high bandwidth applications and portfolio company of Battelle Ventures, Novitas Capital and Technology Venture Partners, in its sale for approximately US$65 million to Fujikura Ltd., a global supplier of optical fibers and fiber optic components. Representation of Operative Media, Inc., a leading advertising business management company of Honeywell International and Edison Partners, in its acquisition of Solbright, Inc., a provider of revenue and workflow operations software. Representation of Reactive NanoTechnologies, Inc., a manufacturer of its patented NanoFoil, in its sale to Indium Corporation and its Series D financing by Masdar Clean Tech Fund (Credit Suisse) and its US$22 million Series C financing led by Siemens Venture Capital and Sevin Rosen Funds. Representation of Blip.tv, a next-generation Internet television network, in connection with its US$10 million Series B preferred stock financing with Bain Capital and Canaan Partners.Representation of Lumeta Corporation in connection with its spinoff from Lucent Technologies Inc. and sale of Series A preferred stock to Draper Fisher Jurvetson.Representation of Mauritius-based Helion Venture Partners and Blumberg Capital on a Series A investment in MyGola, an online travel planning service. Representation of Tasker Products Corp., a specialty chemical company, in connection with its private investment in public equity (PIPE) transaction and other securities offerings.Representation of Rosedale Medical, Inc., in connection with its spinoff from Sarnoff Corporation and sale of Series A preferred stock to Pequot Healthcare Venture Fund and Versant Ventures. Representation of Bluefly.com (f/k/a Pivot Rules, Inc.) in connection with its initial public offering. Representation of Memory Pharmaceuticals, Inc., in connection with its US$10 million preferred stock financing with Hoffman-La Roche Inc. Representation of Plantex USA, Inc., a subsidiary of Teva Pharmaceuticals Inc., in connection with its supply contracts and other general corporate matters.Representation of Teldata Control Inc. (f/k/a Control Point Solutions) in connection with its merger with Broadmargin, Inc.